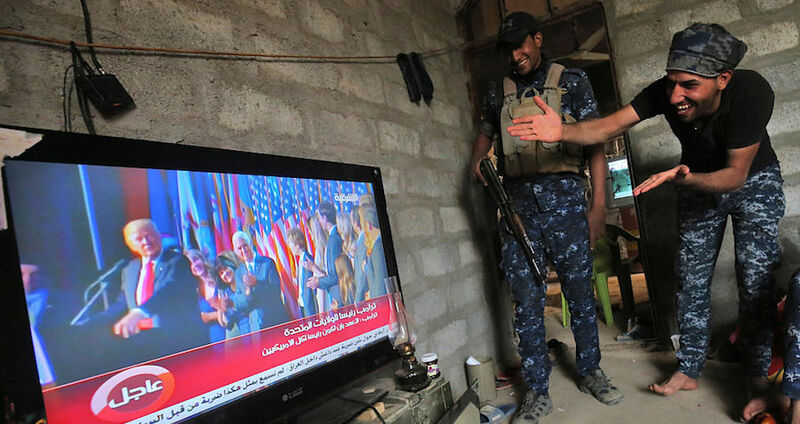 AHMAD AL-RUBAYE/AFP/Getty ImagesOn the outskirts of Mosul, Iraqi soldiers take a break from fighting ISIS to watch Donald Trump give a speech after winning the U.S. presidential elections. At least one top ISIS commander believes that Donald Trump’s recent presidential win is exactly what the jihadist group needed. ISIS commander Abu Omar Khorasani recently spoke to Reuters about how the jihadists are planning to use Trump’s victory to recruit new fighters into their ranks. As a propaganda tool, Trump’s Islamophobic campaign trail rhetoric is perfect for convincing disaffected youth living in the West to consider giving ISIS a chance. 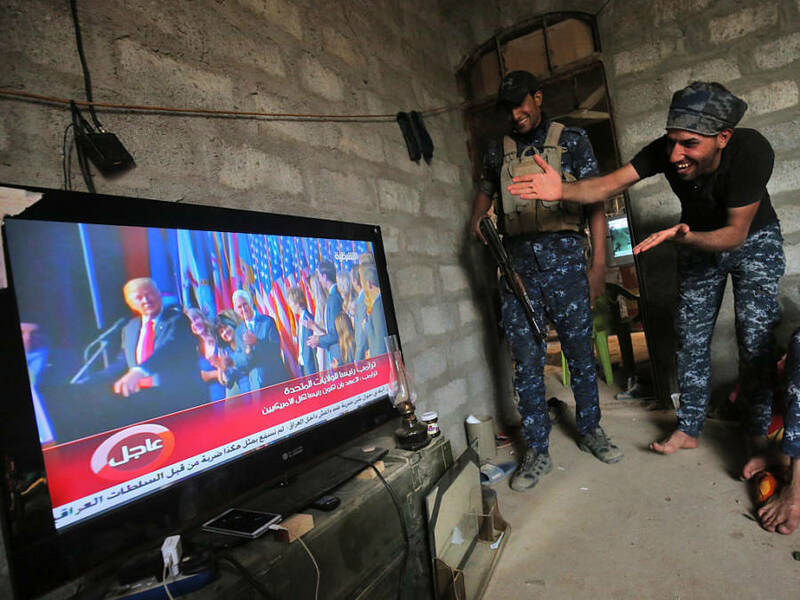 Whatever Trump actually does once he’s in office, according to Hisham al Hashemi, an Iraqi government adviser regarding Sunni jihadist groups, militant groups will likely respond after Trump’s first round of speeches. Hashemi anticipates that extremists will exploit Trump’s comments and win support: “al-Qaeda is known for its recruitment strategy that heavily quotes speeches of the White House and other Western officials,” he told Reuters. As for Trump himself, the president-elect hasn’t offered any details on how exactly he plans to combat the various radical groups opposed to the U.S., such as ISIS, the Taliban, or even al-Qaeda. To this end, the Taliban has kept track of all of Trump’s speeches and anti-Muslim comments as well. “If he does what he warned in his election campaign, I am sure it will provoke Muslim Ummah (community) across the world and jihadi organizations can exploit it,” said a senior Taliban commander to Reuters. Still, Trump’s campaign comments alone may be more than enough to fuel terrorism around the world. Next, read about the more than 200 incidents of harassment that have occurred since Donald Trump was elected president, before laying eyes on these stunning photos from the front lines of the war against ISIS.